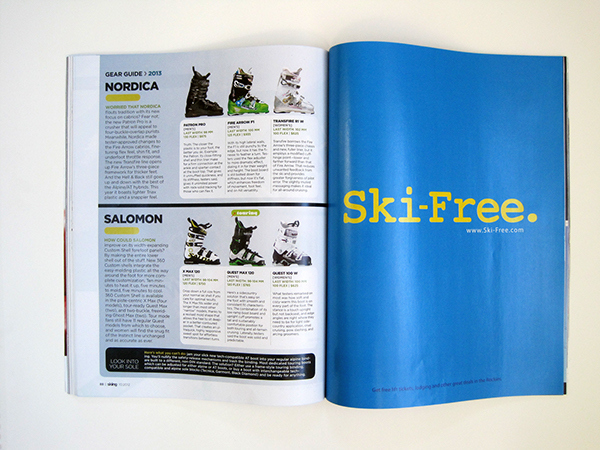 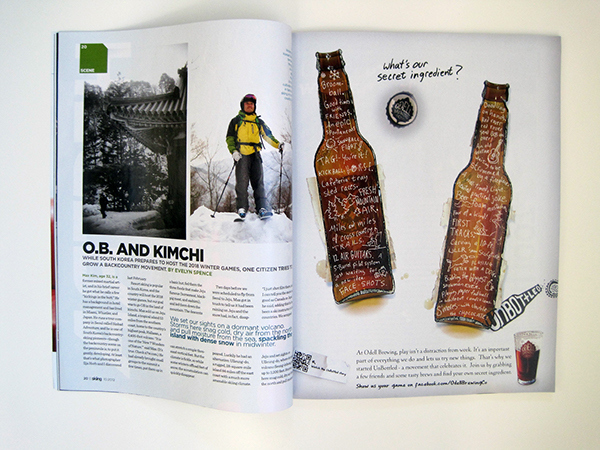 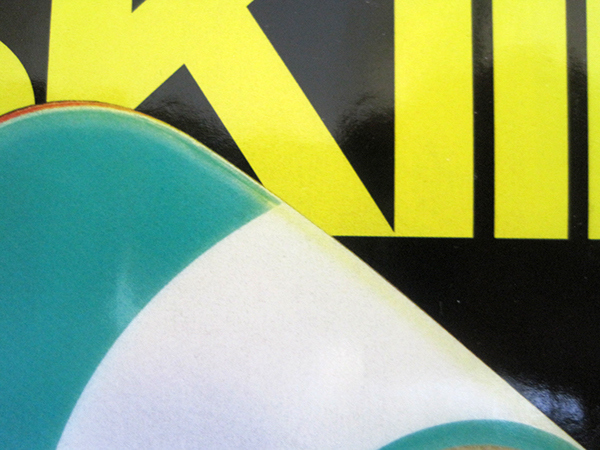 I worked for both Ski and Skiing Magazine as an art intern. 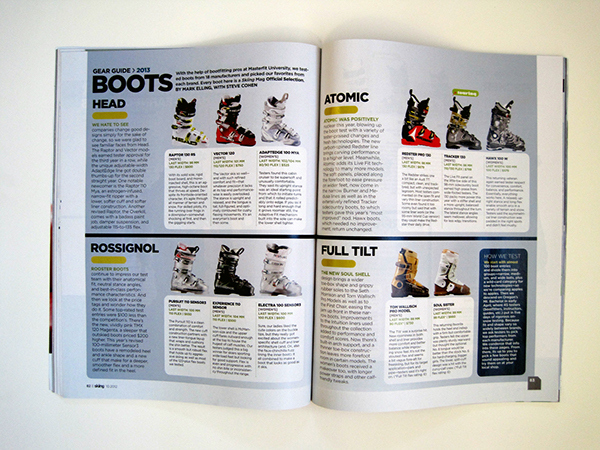 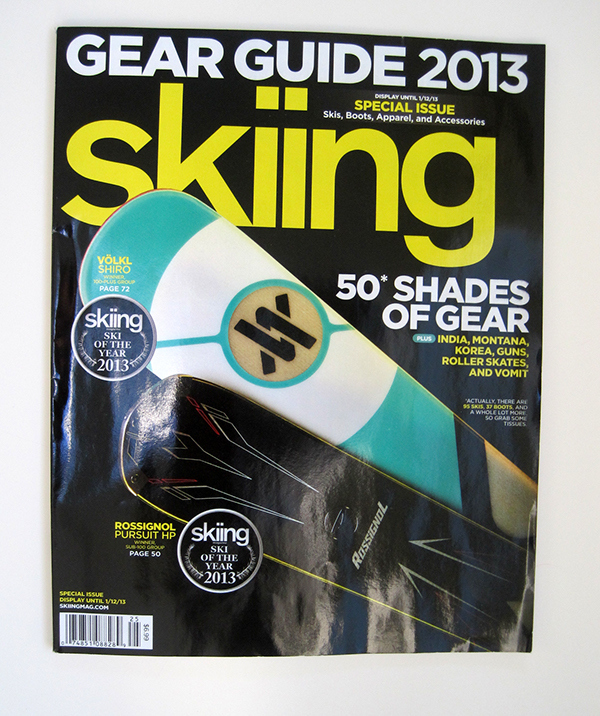 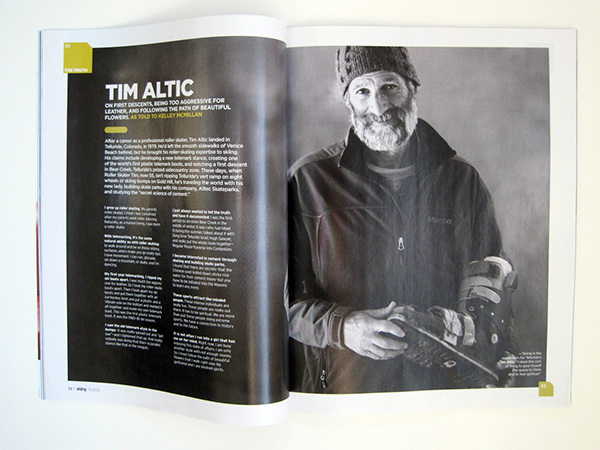 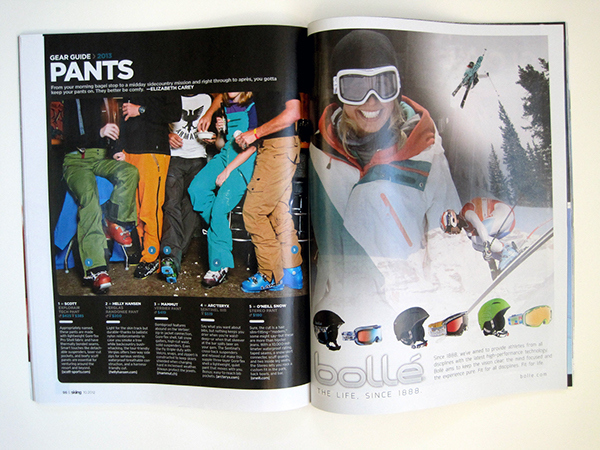 This selection includes the "Boots" section of Skiing Magazine. 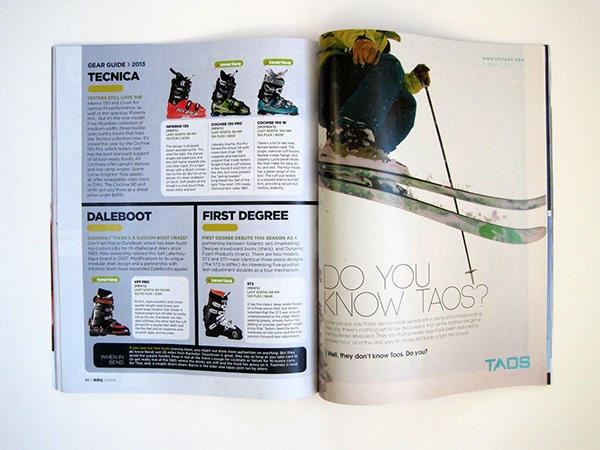 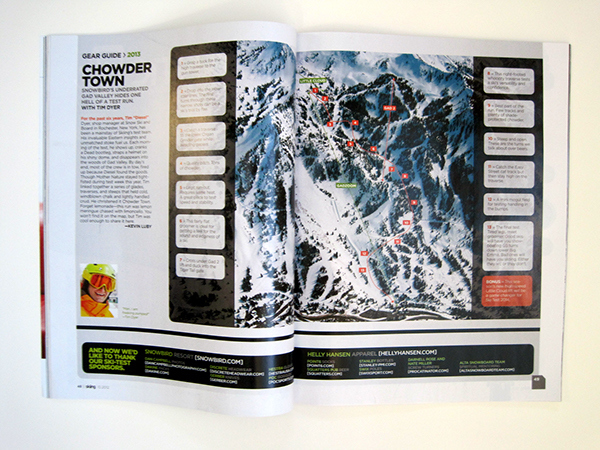 I designed the entire layout for this section, highlighting men's and women's ski boots chosen for their high quality performance on the slopes. 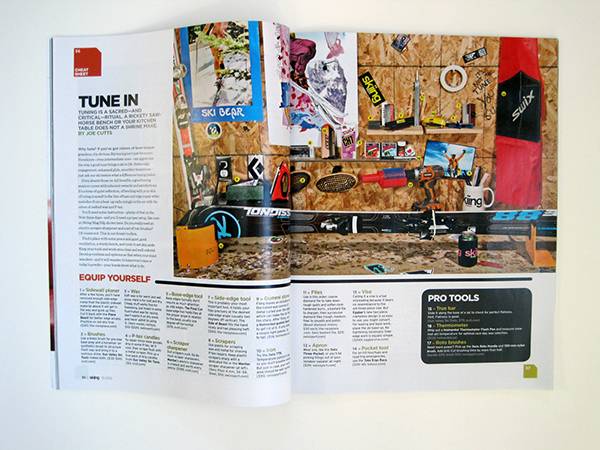 There was no previous template for this section, giving me the freedom to customize and exhibit my design aesthetic. 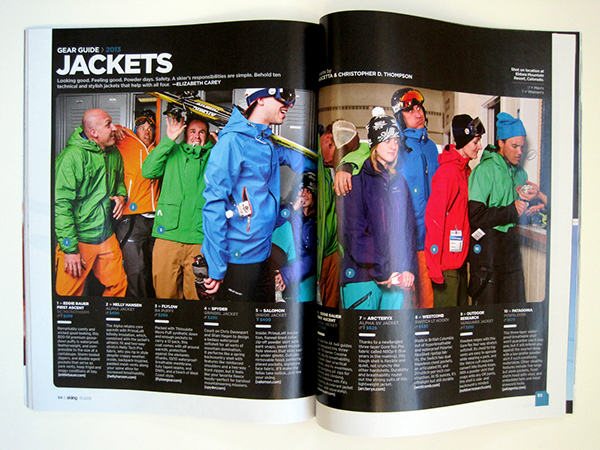 I've also included images from the Eldora Ski Resort trip, where selected faculty (including myself in the purple jacket) modeled clothing for the "Jackets" and "Pants" sections.